Trelaske, Lewannick. | Launceston Then! Trelaske was a manorial settlement, first recorded in Domesday Book. According to Lake’s Parochial history of Cornwall, the estate was owned by the Uptons from the time of Richard II (1377-99) until 1541, when, under the name of Trelaske Hall, it passed to Nicholas Lower, remaining with the Lowers for five generations. In the 18th century the estate passed by marriage into the hands of the Archers who lived there until 1957. Gilbert’s history of Cornwall published in 1820 says that Trelaske “has both ancient and modern structure, the north front being rebuilt a few years ago and the old entrance in the east side formed into [a] hall”. It was apparently remodelled in c.1790-91 for Edward Archer (1742-1802) at the same time as the park was laid out. 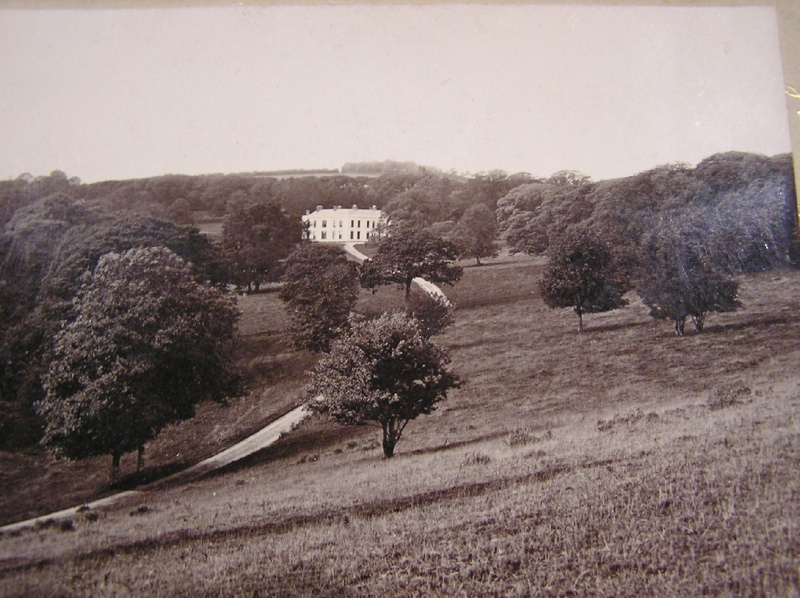 In 1820 the house was uninhabited and the neglected state of the grounds was said to ‘present a melancholy appearance’, somewhat redeemed by the fine woods of the domain, but after Edward Archer (1792-1834) inherited in 1822 the house was again refurbished with an extensive rebuild. The Archer family in Cornwall can be traced back to the Rev. John Archer, who was instituted as vicar of Caerhays in 1644. In 1700, his grandson, John Archer (c.1672-1726), inherited the farms of Trelewack in St.Ewe and Benboll in St. Kew from his uncle, Nicholas Archer, but although this represented a significant landed estate, he did not have a country house. John married Sarah, the daughter of John Addis of Whiteford in Stoke Climsland, who bought the Trelaske estate at Lewannick in 1702 for his younger son, Samuel Addis. When Samuel died without issue in 1741, he bequeathed Trelaske to his nephew, Swete Nicholas Archer (1715-88), the second surviving son of John Archer and his sister Sarah Addis, and after Swete inherited Trelewack and Benboll from his elder brother William in 1749, Trelaske became the centre of the family’s estate in Cornwall. Very little is known about Trelaske at this date, but it was probably a Tudor or Jacobean house, part of which survived into the 19th century.This was a family which produced a notable number of childless marriages over the next two hundred years. Swete himself was childless, and left Trelaske to his nephew, Edward Archer (1742-1802), who remodelled the house and laid out the park in 1790-91, soon after inheriting the estate. As Edward was also childless, on his death Trelaske passed to his younger brother, Lt-Col. Samuel Archer (1745-1822), who lived at Plympton in Devon and who seems to have neglected Trelaske. By 1820 both the house and park had fallen into disrepair, but Samuel’s energetic though short-lived son, Edward Archer (1792-1834) restored the park and remodelled (some accounts say rebuilt) the house. Edward, who married a granddaughter of the great architect Sir William Chambers, also produced a large family of six sons and six daughters, many of whom led interesting lives. It was however the eldest son, Edward Archer (1816-85), who inherited Trelaske. He was the very model of a Victorian squire: Colonel of the local volunteer regiment; Chairman of the Launceston & South Devon Railway Co. and a keen huntsman who maintained his own pack of hounds at Trelaske. Like his father, he also produced a large family, but his eldest surviving son, Charles Gordon Archer (1846-1908) was unmarried and childless. On his death, therefore, Trelaske passed to his nephew, Philip Addis Edward Archer (1884-1957), whose father had been a Truro solicitor. Philip, like so many of his forebears, was married but childless, and after he died in 1957 much of Trelaske was demolished and the estate sold. There was a small landscape park around Trelaske House, either formed or extensively remodelled about 1790, and a few rather shattered remnants of this remain, including the relocated pedestal of a sundial in the lawn to the east of the house, four piers and the foundations of an early camellia house (largely dismantled after a storm in the 1980s), and the ruins of a gardener’s cottage. There is a walled garden on the opposite side of the road to Trelaske House, which is now the site of a small bungalow. A Gothic gate lodge was built in the 19th century but has been much altered in the late 20th century.